When I have children I am going to make them watch the movie 2012 and tell them I survived that like a Boss! When someone won’t stop talking while you’re watching an interesting scene of the movie. 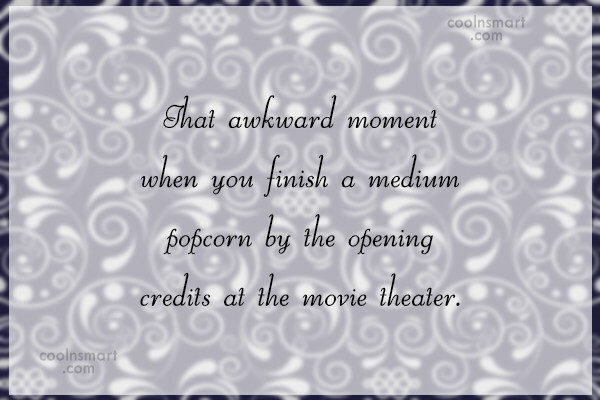 That awkward moment when you finish a medium popcorn by the opening credits at the movie theater. I am looking for excellence. Anyone can struggle but they cannot make a ‘perfect’ film. We only see the glamour side of stars but not how they’ve achieved it. Actors can be refined and be better. I’m an improved version of whatever you’ve seen earlier. I do not say this with arrogance, but it is my duty to be better than my predecessor and it’s my duty to see that my successor is better than me. I love how, in scary movies, the person yells out, Hello? As if the bad guy is gonna be like, Yeah, I’m in the kitchen! Want a sandwich? Friendships in the film industry last as long as you are working together. Once your film is complete, you have to start forming new associations. Today the situation is even worse. While big directors don’t really pay you, they exploit your talent beautifully. In day-to-day life, our brain sends lots of signals. In acting, there are no signals. You have to believe in what you are trying to portray. Being a popular director or actor’s son can be frightening in this industry. What if you are not able to make it? I cannot stop them. This is their affection and love and we live for this. And I hope that this love and affection remains with us so that we are inspired to work more and be able to satisfy their desires and expectations. 5 words that scare the hell out of me in horror movies? Based on a true story. Spending half of the movie wondering where you’ve seen the actor before. 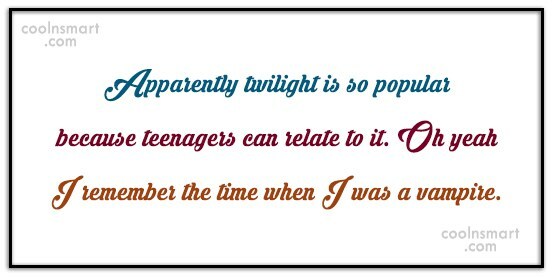 Apparently twilight is so popular because teenagers can relate to it. Oh yeah I remember the time when I was a vampire.